Many eminent bible scholars have studied the intriguing question of end days prophecy, while misleading and sometimes absurd claims have been made by the less qualified. Finding many of his questions unanswered by generally accepted past or current explanations, the author set out on a journey to discover for himself the likely truth revealed in the message to men given in the bible. 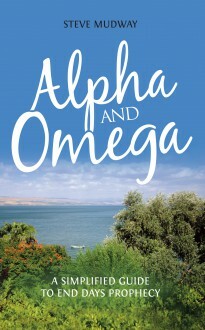 He has written Alpha and Omega in an attempt to clear a path through the jungle of speculation. “The only reliable answers must be found in the scriptures themselves, even if their truths are, at times, well and truly hidden,” he writes. A fascinating study for those who long to know what truly lies in store for us on earth when the final day arrives.